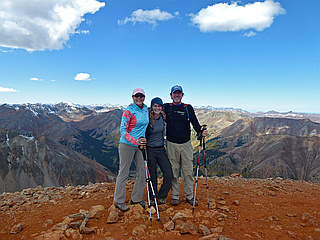 Redcloud Peak is a Colorado 14er in the San Juan Mountains. 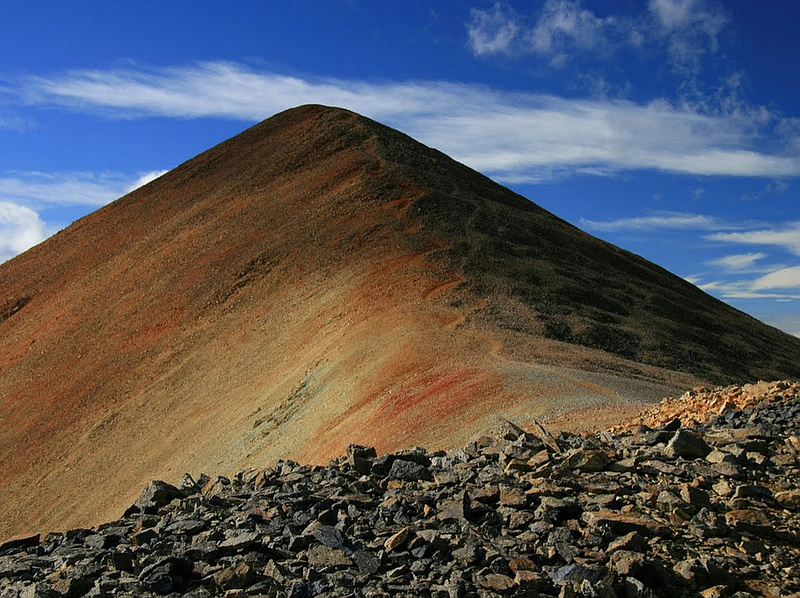 The mountain is named for its red color. 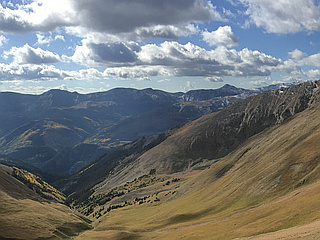 Part of the Handies group, it is usually climbed in combination with nearby 14er Sunshine Peak. 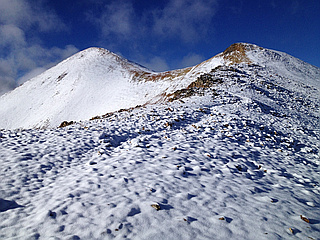 The most popular route is a Class 2 scree route from the Silver Creek - Grizzly Gulch trailhead.